A Hurricane Watch is in effect for Antigua, Barbuda, St. Kitts, Nevis, Montserrat, Guadeloupe, Saba, St. Eustatius, St. Maarten, and Anguilla as Tropical Storm Maria moves westward towards the Lesser Antilles. Hurricane conditions are possible within the hurricane watch area by Monday night or Tuesday, with tropical storm conditions possible on Monday. 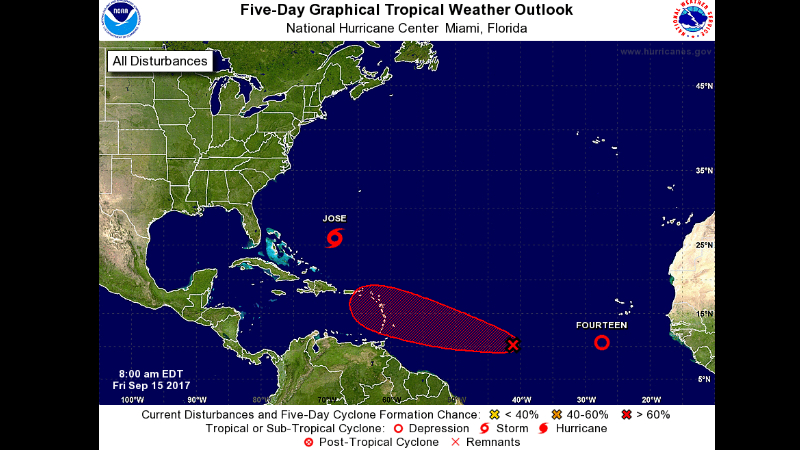 A Tropical Storm Watch is in effect for St. Lucia, Martinique, Dominica, Barbados, St. Vincent and the Grenadines. At 11:00 pm, the centre of Tropical Storm Maria was located near latitude 12.5 North, longitude 53.7 West - about 545 miles (880 km) east south-east of the Lesser Antilles. 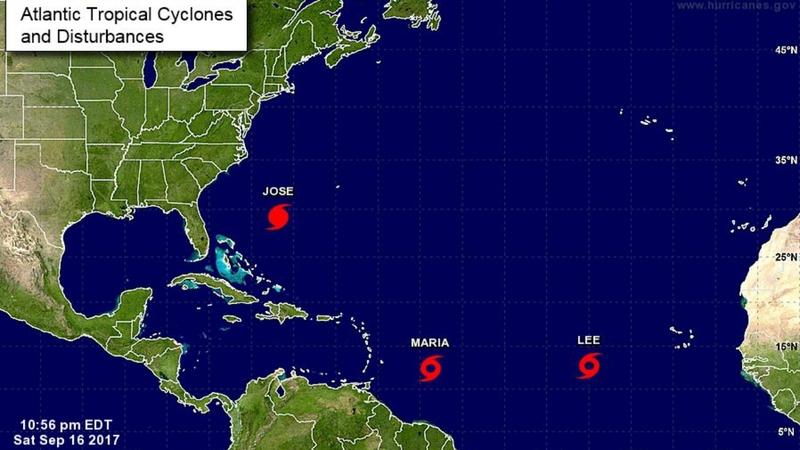 Maria is moving toward the west near 16 mph (26 km/h). A turn toward the west-northwest and a slower forward speed are expected during next couple of days. On the forecast track, the centre of Maria will be near the Leeward Islands on Monday or Monday night. Maximum sustained winds are near 50 mph (85 km/h) with higher gusts. Strengthening is expected during the next 48 hours, and Maria is forecast to be a hurricane when it approaches the Leeward Islands. Tropical-storm-force winds extend outward up to 45 miles (75 km) from the centre. The estimated minimum central pressure is 1002 mb (29.59 inches). WIND: Hurricane conditions are possible within the hurricane watch area by Monday night or Tuesday, with tropical storm conditions possible on Monday. Tropical storm conditions are possible in the tropical storm watch area on Monday. STORM SURGE: A dangerous storm surge accompanied by large and destructive waves will raise water levels by as much as 3 to 5 feet above normal tide levels within the hurricane watch area. RAINFALL: Maria is expected to produce total rain accumulations of 6 to 12 inches with isolated maximum amounts of 20 inches across the central and southern Leeward Islands through Tuesday night. Maria is also expected to produce total rain accumulations of 2 to 4 inches with isolated maximum amounts of 8 inches in the northern Leeward Islands through Tuesday night. This rainfall could cause life-threatening flash floods and mudslides. SURF: Swells generated by Maria are expected to begin affecting the Lesser Antilles by Sunday night. These swells are likely to cause life-threatening surf and rip current conditions. 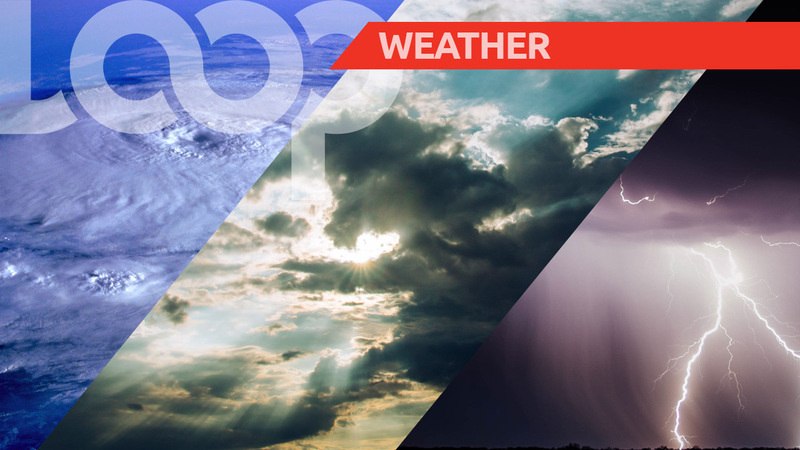 A Tropical Storm Watch has been issued for Barbados and St Vincent and the Grenadines. 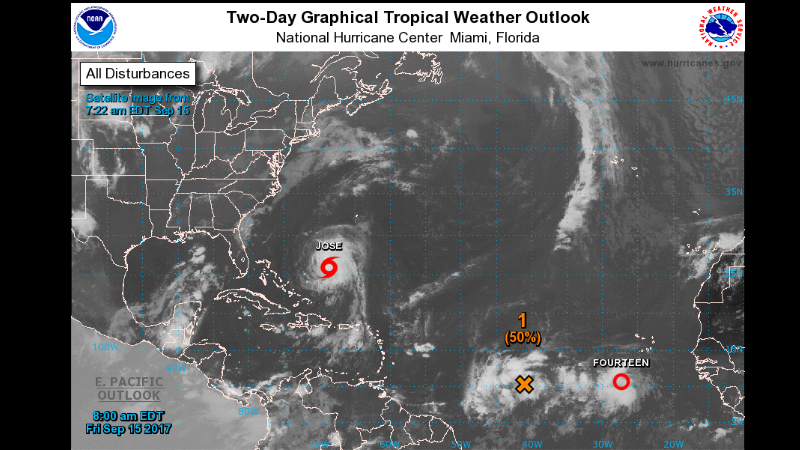 This as a 2 p.m. bulletin from the US National Hurricane Center indicated that the centre of Tropical Depression Fifteen was centred near latitude 11.9 North, longitude 51.6 West - about 695 miles (1,120 km) east south-east of the Lesser Antilles.